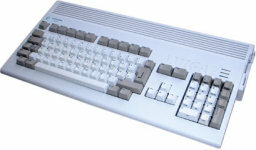 The 1200 was Commodore's successor to the 500 but it was not as successful, coming under pressure from both the 16-bit games consoles and increasing inexpensive PC clones. 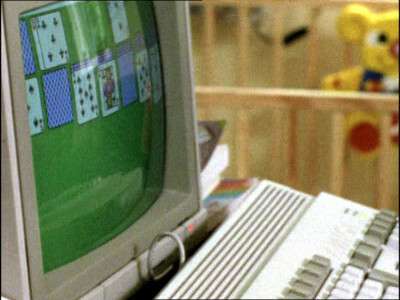 The forensics team use the Amiga 1200 to play a game written by the deceased, which they suspect might have been the motive for murder. For some reason the Amiga has been painted black. The use of a PC XT to load the floppy disk seems suspect too. By accident, Barky meets his old girlfriend who as an Amiga 1200 in her room. 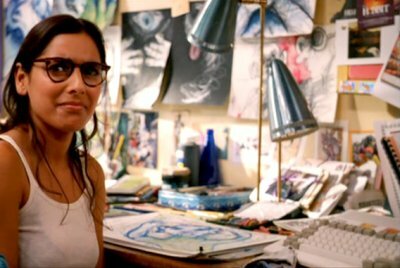 Suffering from depression, Fitz's wife play Solitaire on an Amiga 1200 to distract herself from her crying baby.